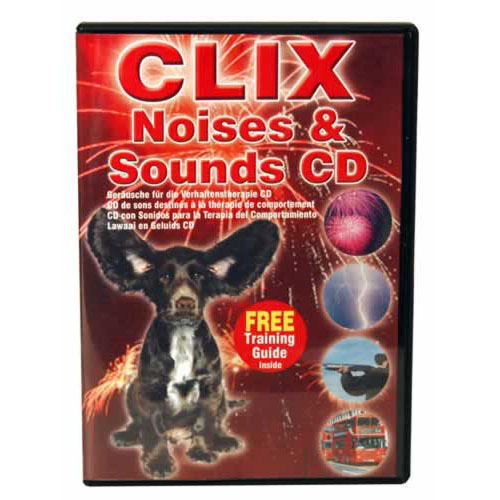 Great for acclimatising and desensitising your dog or puppy to the different sounds such as fireworks, thunder and lightning, traffic, people and even the vacuum cleaner. The use of a Sound CD for dogs and puppies is a successful, proven technique for the treatment and prevention of sound phobias in dogs. 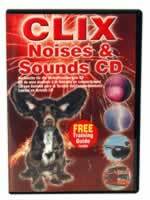 Starting the volume so you can barely here the CD and then gradually increasing the volume over many days so that your dog or puppy will gradually become use to the noise and ignore it. It is best while playing the CD to distract your dog by either playing with them, letting them have a toy or doing some training with them because this will help to desensitise them from the background noises coming from the CD. The CD contains 30 tracks in total and each track is approximately 3 minutes. This package includes a free training manual which explains how to use the CD effectively to desensitise your dog. Desensitise your dog or puppy to different sounds. Easy to control the process in a safe and secure environment. Get your dog ready for Bonfire Night and New Year celebrations.